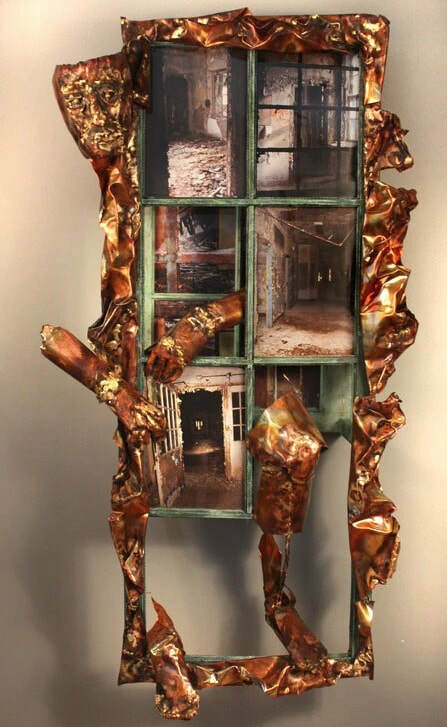 Kings Park Psychiatric Hospital - Mixed Media: Photography, painting,welded copper and bronze, wood ,wire mesh and glass. Kings Park Psychiatric Hospital - Mixed Media: Photography, wood ,wire mesh and glass. "Picking up the Pieces "
My work is a study of personalities and environments that reflects interpretations of everyday life, catching moments in time. These pieces internalize and project mundane, often overlooked interactions of individuals in society, creating compelling imagery and an intimate view of “persona”. There seems to be an accepted social disconnect or disassociation that enables us to ignore the undesirable or disadvantaged of society. People often choose how they reveal themselves or are perceived by others, unveiling a facade, discarding moral conscience. These works depict isolation, disassociation and violation, vs. confidence, security, and contentment. My images digest the posture of individuals while faces reflect their stories. These strangers are subjects in my continuing series of artwork, “Burned into Memory” I have been experimenting with copper and its’ properties, combing drawing along with theatrical lighting. 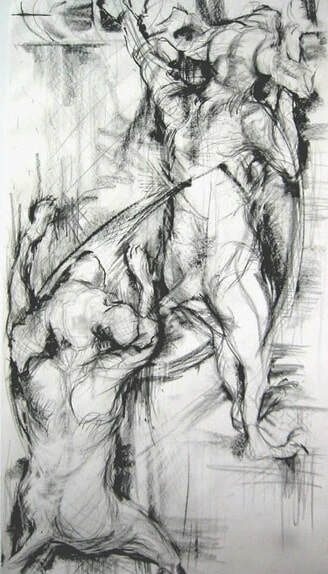 By exploring new media, I have developed a process, “drawing with fire”. 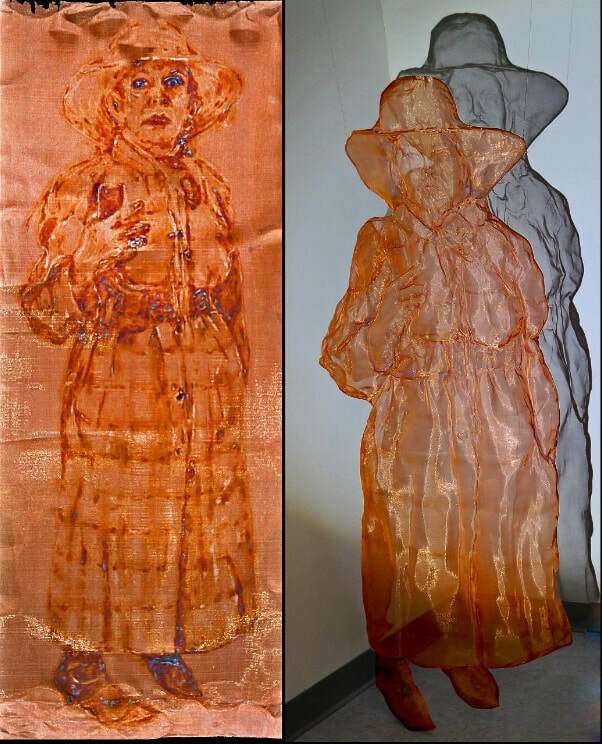 These images are burned into copper screening creating translucent images and reflective imagery. Images are burned into copper and work like two way mirrors changing significantly based on lighting. The light either bounces off the copper pieces reflecting a strong image or travels though the mesh showing a translucent after image I am passionate about using skills of the past and combining them with innovative methods. My images seek out the moments of quiet humanity rapidly recording the spontaneous unfolding of life in the street. This innovative, figurative analysis is a socio/ psycho study created to bring light to the attention seekers and the overlooked of our society. I enjoy the challenge of working with a diversity of materials, taking simple paper and wire, turning them into provocative sculpture. I am always equipped with camera in hand, photographing people in their natural environments. They often share their stories and are happy to be the subject of my work. Other images are candid shots taken from afar when the subjects cannot be interrupted from their actions I appreciate the complexity of each piece, collapsing three dimensional pieces into 2 and 3 dimensional space. I love the process of combining photography, wire, papier mache and painting. My images seek out the moments of quiet humanity rapidly recording the spontaneous unfolding of life in the street. This innovative, figurative analysis is a socio/ psycho study created to bring light to the attention seekers and the overlooked of our society. 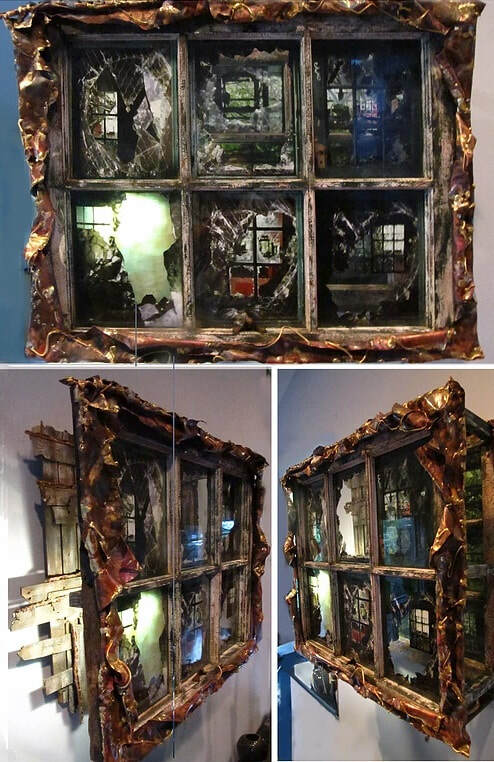 Illuminated Sculpture - Kings Park Psychiatric Hospital - Mixed Media: Photography, welded copper bronze, wood and onyx. 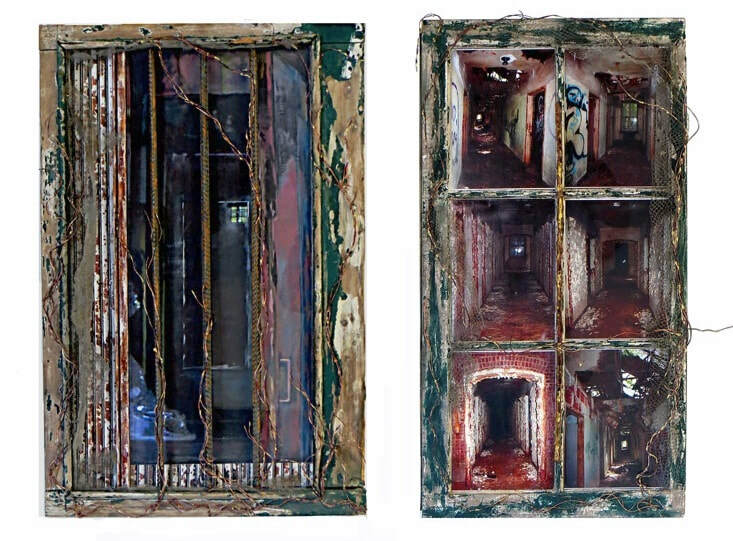 ​Kings Park Psychiatric Hospital - Mixed Media: Photography, painting, welded copper and bronze, wood, wire mesh and glass. 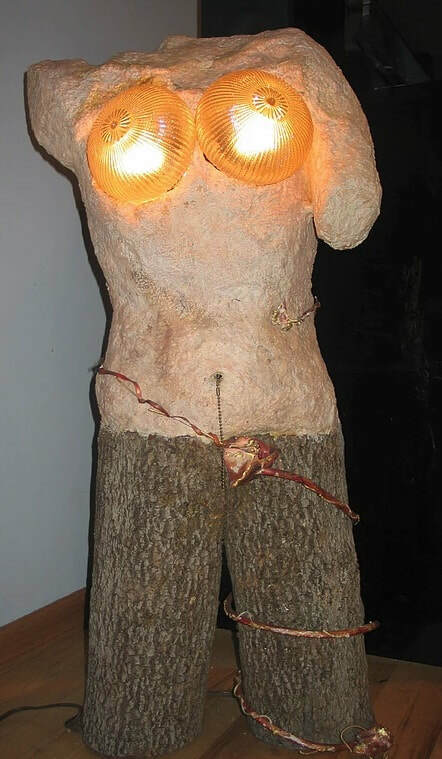 Illuminated Sculpture - Wood, rubber, recycled paper fiber, copper, brass, and antique glass orbs. Life-sized relief papier mache sculptures depict individuals in society and their interactions in everyday life. Often going unseen and unheard, we all contribute and make up this diverse and multi-faceted population. 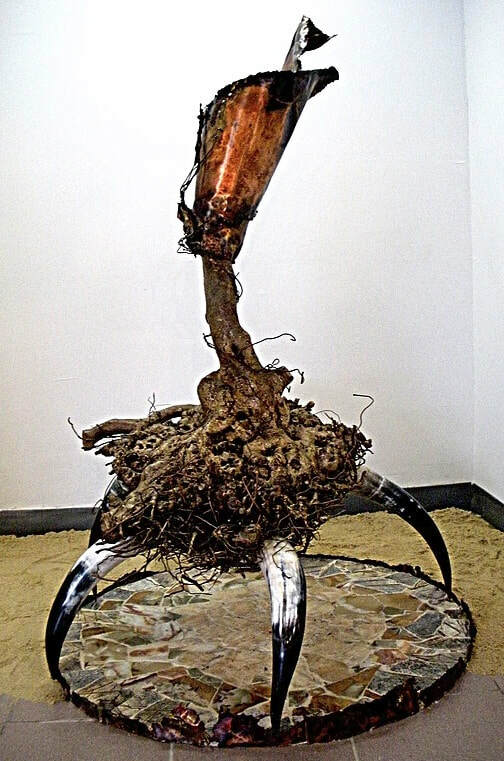 ​I appreciate the challenge of each piece, collapsing three dimensional pieces into 2 and 3 dimensional space. I love the process working with photography, wire, papier mache and painting. I seem to become somehow bonded to these individuals carefully exploring and interpreting their attitude. These sculptures are based on photographs taken of the subjects. 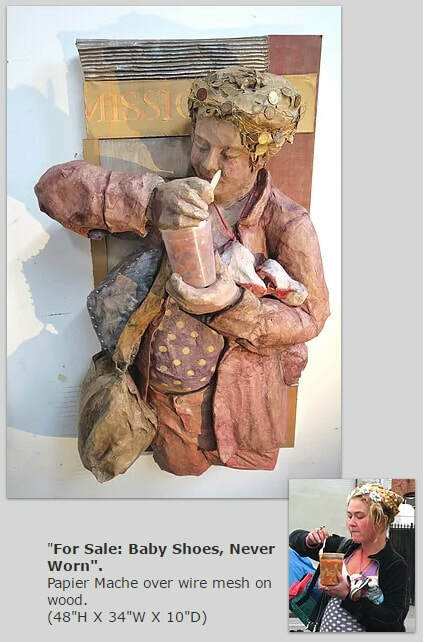 Papier Mache over wire mesh on wood..
Lori Horowitz_ In and Out of Sight_2017_Lori Horowitz from Lori Horowitz on Vimeo.